Ever-Ready Concrete has ISO 9001‑2008 certification which drives its provision of consistent quality products. Our products regularly undergo NATA accredited testing to ensure that our mixes meet client requirements and are compliant with Australian standards. Ever-Ready Concrete has a WHS system compliant with the WHS Act & Regulations 2011 and AS 4801‑2001 (OHS Management). Safe Work Method Statements and site safety plans are available for operations. We have an environmental management system compliant with ISO 14001-2004. Please contact us prior to applying for your account. We’re here to help and discuss our best trade rates to suit you. All applicants will undergo a financial background/credit check as part of the application process. Invoices are mailed weekly. Payment is due strictly 30 days from date of Invoice. Overdue accounts will attract an account service fee of $10.00 or 2% (which ever is greater) on overdue amounts and will be calculated monthly. Minimum Monthly Account is $5,000.00. 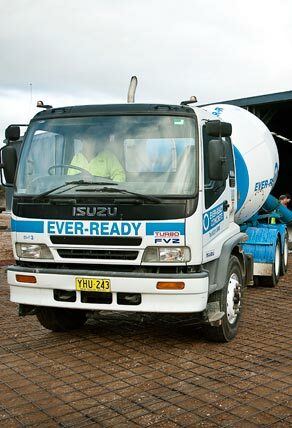 View Ever-Ready Concrete’s Terms of Trade. N.B: The bottom of each page must be initialled to indicate you have read and understand the terms.